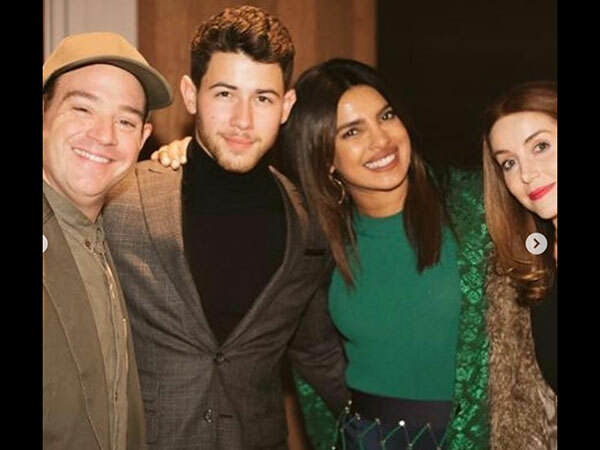 Those who have been following the Grammy Awards closely would be disappointed that Priyanka Chopra and her hubby Nick Jonas chose to give the star-studded award function a miss this year! 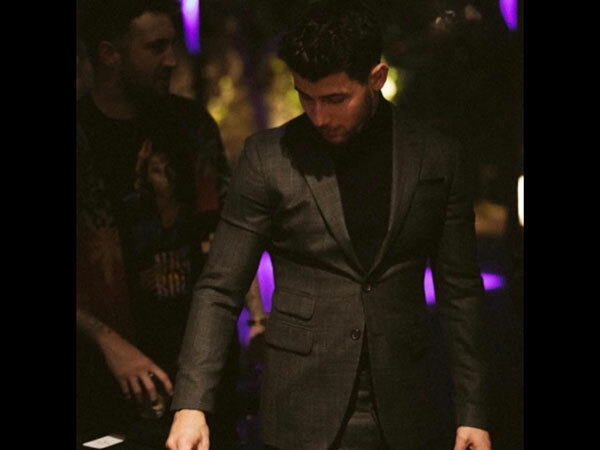 However the couple were a part of a blockbuster party with their friends, who received nominations for music’s biggest award night. 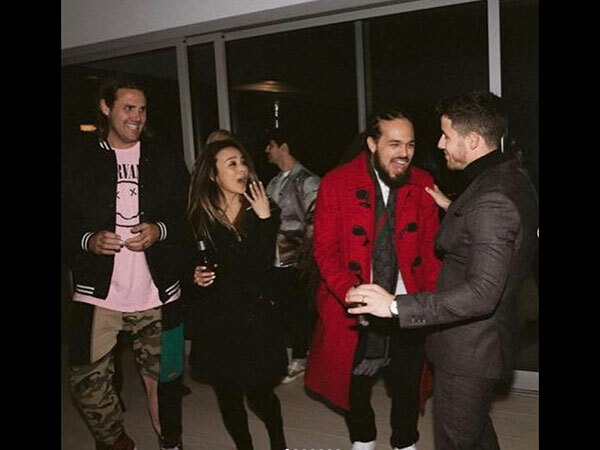 Nick is seen sharing a light moment with his friends at the pre-Grammys bash. 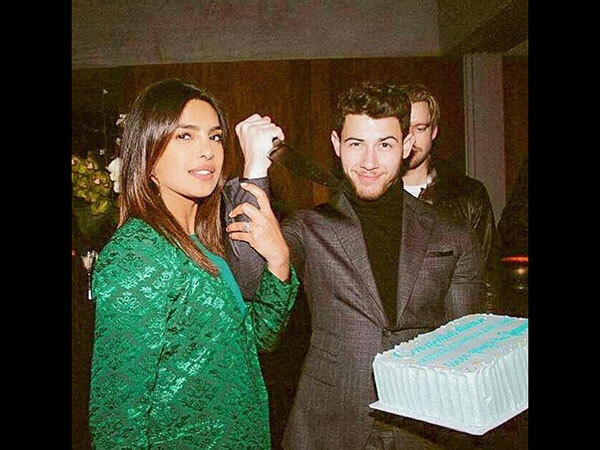 While Nick acts as if he’s going to stab the cake with the knife, PeeCee is seen holding his hand. 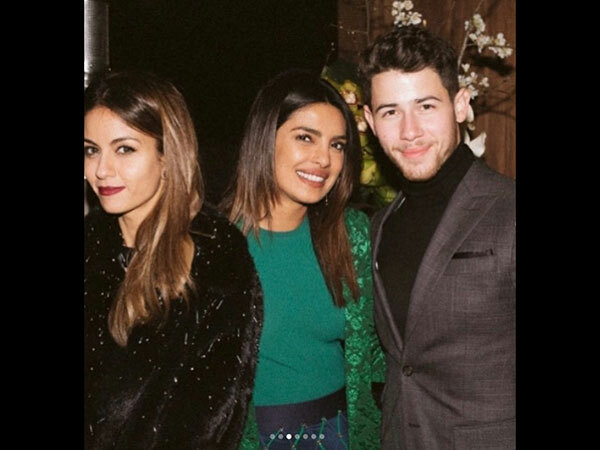 While the desi girl is seen dressed in a green sweater and blue-fringed skirt with a blazer, her hubby looks dapper in a black turtleneck sweater and a grey pantsuit. 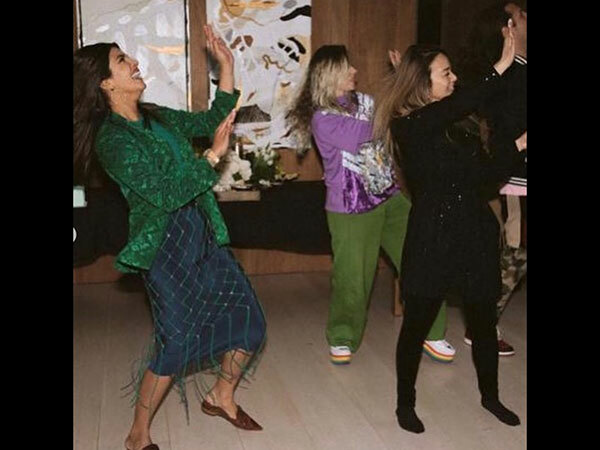 Is Priyanka teaching her friends her famous ‘Gallan Goodiyaan’ step in this click? Priyanka shares a candid capture of her better half. The lovely couple pose for a picture with their friends at the party. 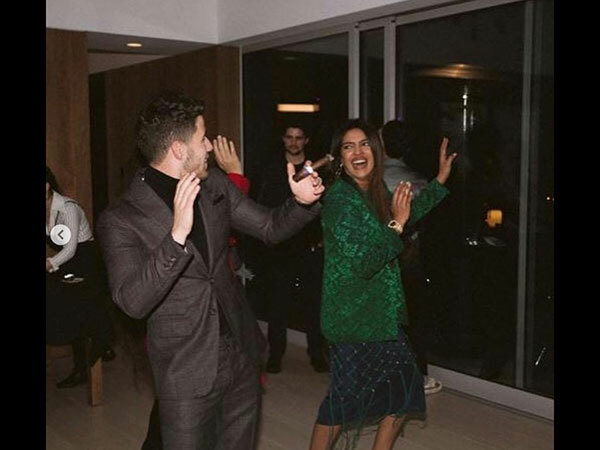 Priyanka and Nick dance their hearts out at the party. ALSO READ: Priyanka Chopra- Nick Jonas’ Haldi Pictures: When Lilly Singh Showed No Mercy On The ‘Dulha’!